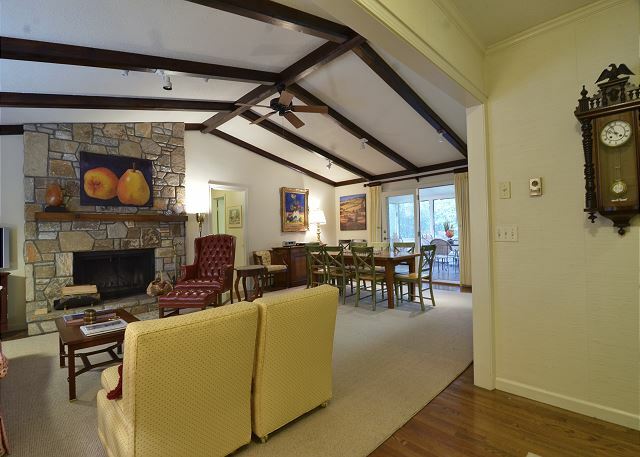 Set inside the gates of Highlands Falls Country Club, this charming 3 bedroom, 3 bath home is nestled back off the road on a corner lot with a large front yard and plenty of parking. 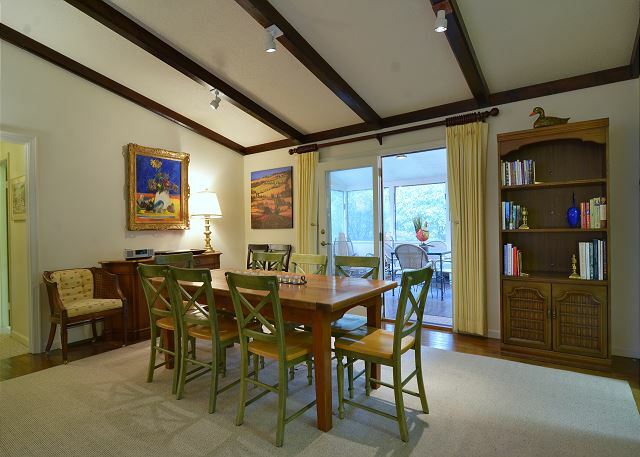 Upon entering the home, you are greeted by the tall, beamed ceilings that connect the open living and dining areas. 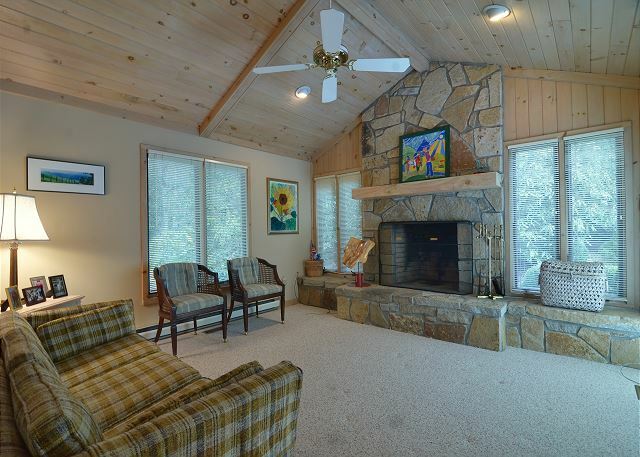 A beautiful stone fireplace is the focal point of the main living room, sit back and unwind with a cozy fire. 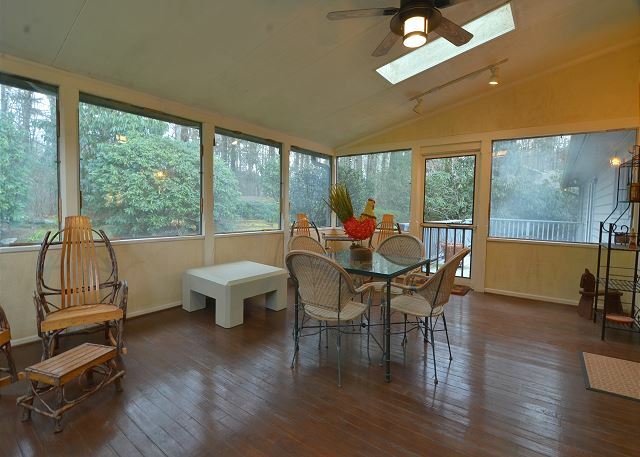 The formal dining area has seating for 8 and opens up to the large screened porch. The porch offers additional seating and is a great place to spend your summer nights entertaining guests over a home cooked meal, or wasting the day away enjoying the sounds of nature. 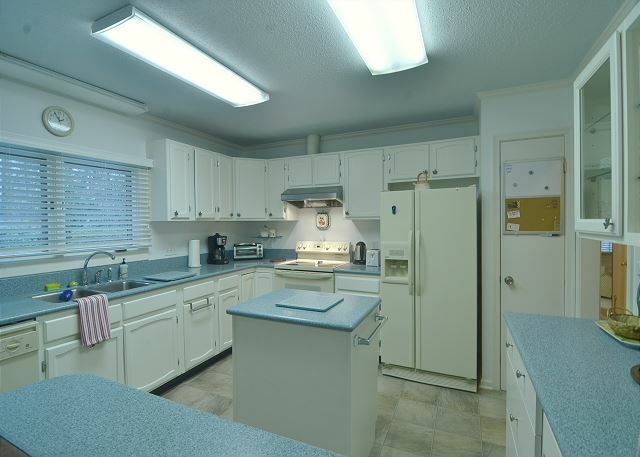 The kitchen is open to the dining room and offers views of the nicely landscaped yard. 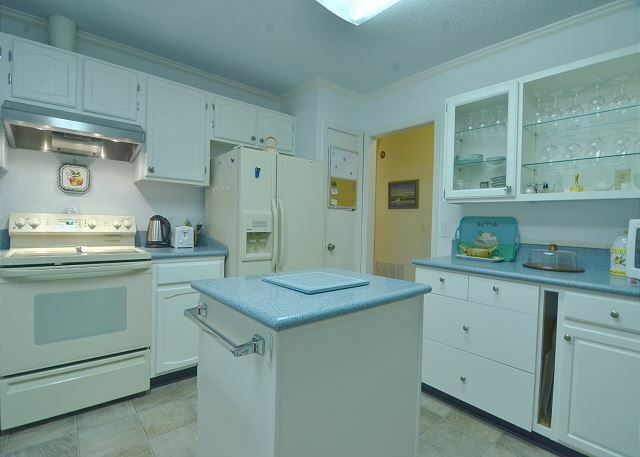 Equipped with all of your cooking needs and plenty of counter space to prepare a 5 course meal! Inside the kitchen, there is even a breakfast counter with seating for 2. 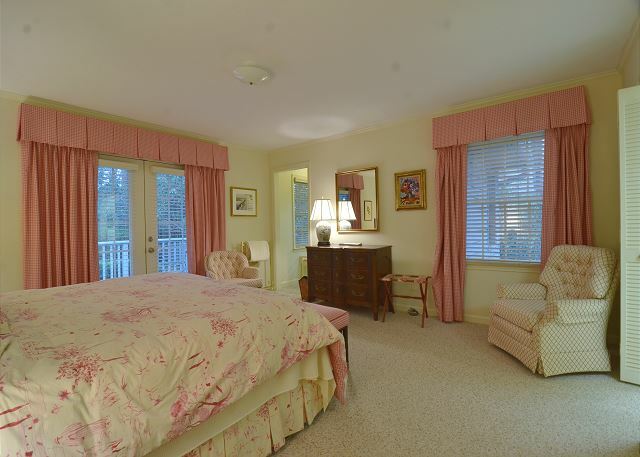 The home is spread across one level with the master suite set separately from the guest rooms. Outfitted with a brand new KING mattress, you are sure to sleep like one. 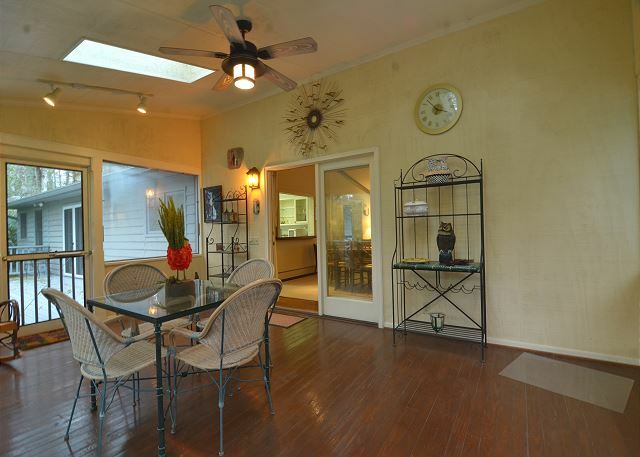 Glass doors lead to an open deck and the large windows let in plenty of light. 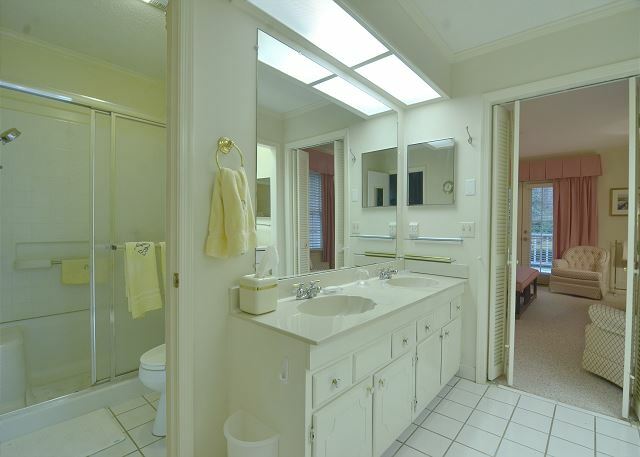 The master suite bath offers his & her sinks, a large make up counter, and walk in shower. 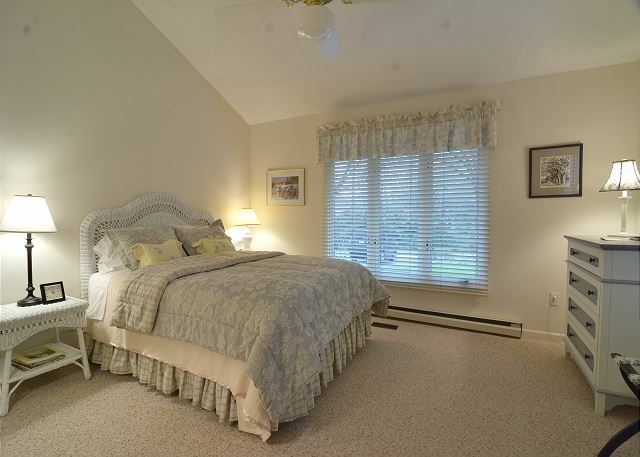 There is a second bathroom area and walk-in closet on the other side of the master suite. 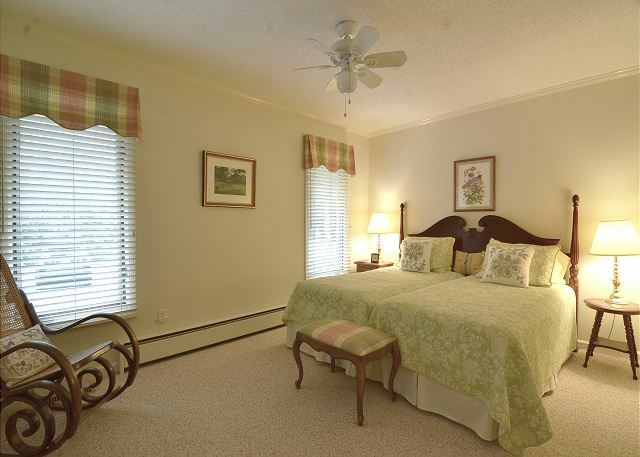 There are two more full baths on the guest wing of the home, along with a nicely appointed double twin bed guest room and a light and bright queen guest room. 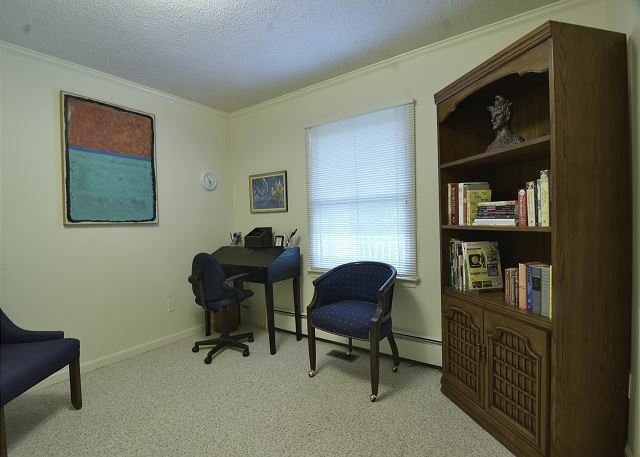 Plenty of closet space and even a home office for working away from home. 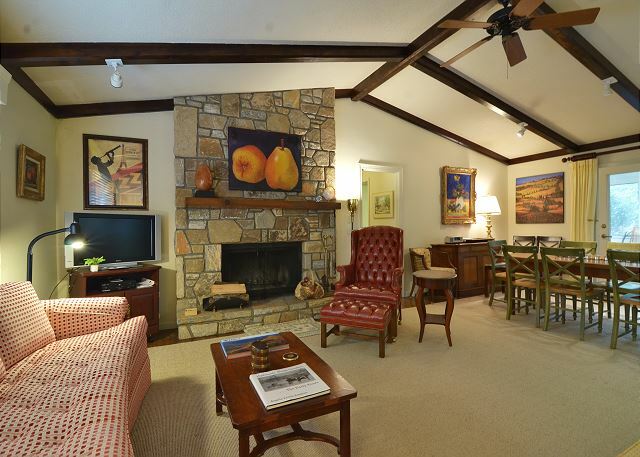 There is a large sunroom with fireplace and flatscreen TV off the guest wing and offers a great place for the little ones to escape and have a little space of their own. There is nothing better than a little fire, popcorn and their favorite movie to make memories for a lifetime. 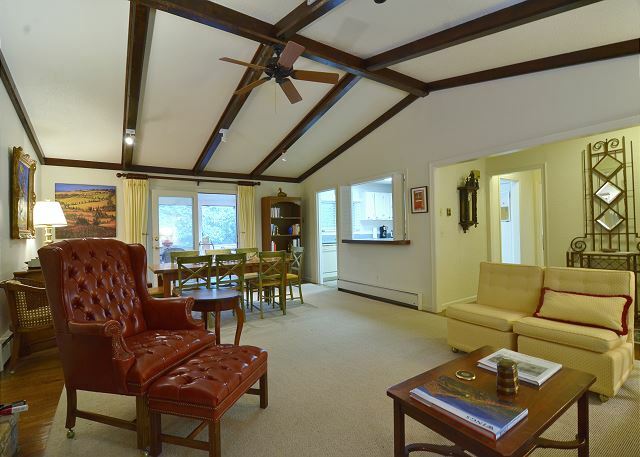 The lush backyard is surrounded with native plants and trees, soak up the sun on either of the 2 open decks and enjoy the crisp clean mountain air. Spend the whole summer and see what club living in Highlands is all about. Highlands Falls Country Club offers provisional memberships with full privileges. Call for details.